If you’ve ever been on a family vacation during the summer, odds are you understand how boring some of the stops can be. This article explains 7 things you can do to make a road trip with kids fun for everybody. Are you in the process of planning a road trip with kids? If so, it’s a good idea to devote some time to thinking about the different ways you’re going to keep your kids occupied once you’re on the road. Road trips should, in theory, be lots of fun for the whole family. But as you probably know, kids get bored very easily and can ruin the trip for everyone by complaining, crying, and carrying on for hours on end. Before you pull out of your driveway and start your road trip with kids, you should have a list of things for them to do. Here are 7 things to plan for your road trip with kids. One of the easiest ways to keep your kids occupied on a road trip is to set up a DVD player for them. Years ago, it was pretty much impossible to bring movies along for a car ride. But these days, you can either buy a DVD player equipped with a screen or load up a tablet with a bunch of movies. Either way, you can amuse your kids for hours and hours on end by making sure you have a DVD player on your road trip. If you want to avoid having to pay a fortune for DVDs, you can usually borrow a bunch of them from your local library. While a DVD player will keep your kids out of your hair for hours on end during a road trip, they will eventually get tired of watching movies. When that happens, you should pass out tablets that you have preloaded with educational games for them. Make sure all of your kids are able to play on a separate tablet at once. Otherwise, you’re just asking for trouble! Include a pair of headphones with each tablet. It’ll help you avoid the headache that will inevitably come along with all the noise the tablets will make. Limit the amount of time your kids play on their tablets. While they will keep them distracted, too much screen time could be bad for their eyes. Between the DVD player and the tablets, you should be able to occupy a lot of time during your road trip with kids. You don’t want your kids to spend the entire road trip staring at a screen, right? So here’s another idea that will keep your kids busy without subjecting them to a screen. Before you start your trip, you should pick out some books about your final destination. For example, if you’re traveling to Washington, D.C., you should find books about the nation’s capital. If you’re traveling to Florida, books about the Sunshine State would be great. You’ll allow your kids to learn a thing or two while also building the anticipation up during your road trip. The License Plate Game is a classic game, and it’s easy to see why so many families love playing it. To play, you should obtain a list of all 50 U.S. states. Then, you should closely monitor the road to see how many state license plates you can spot during your road trip. The great thing about this game is that it’s not a game you can start and finish in just a few minutes. More often than not, it’ll take you your entire road trip to make a dent in your list of states. It’ll be fun scanning license plates and shouting out states that you haven’t seen before. The Last Letter Game is another fun game for families to play. It will get everyone in the family involved and force you to get creative as you make your way down the road. Choose a broad category that has a lot of different words associated with it. Something like “food” or “cities” will work great. Have the youngest person in the car start by picking one of the words associated with the category. Have the second-youngest person in the car pick a word that begins with the last letter in the first word. Continue choosing words that begin with the last letter in the previous word until each family member has gone and then repeat. Avoid using the same word twice! If you happen to do it, you’re out of the game. Move on to a new category once you have exhausted all of your options with the previous one. The Last Letter Game is a blast for those of all ages. It’ll make the time pass quickly and bring your family closer in the process. Some parents might be a little bit apprehensive about bringing arts and crafts into the car. There are some crafts that can end up being very messy. But there are some others that won’t make a mess and that will keep your kids creating for hours on end. Something as simple as pipe cleaners will allow your kids to make bracelets, swords, and so much more. If all else fails and your kids run out of things to do in the car, have them look out the window and point out their favorite vehicles to you. Ask them why they like each car that they point out. They might like some because they’re big and others because they shine. Tell your kids about why certain cars are so shiny as opposed to others and explain how a topcoat can change the look and feel of a car. Discover more information on it here. You might be surprised by how long your kids will want to talk about their favorite vehicles and the features they like. 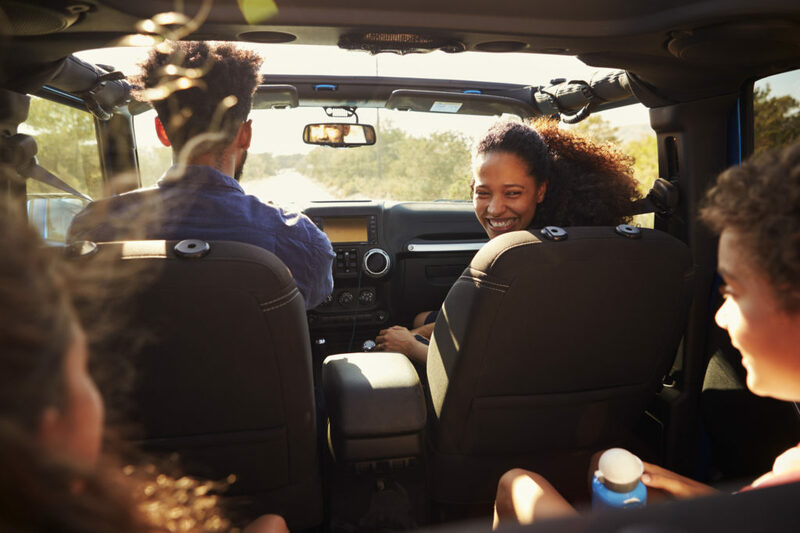 Whether you’re driving across the state or across the country, a road trip with kids is going to feel very long and exhausting if you don’t make the proper preparations. By coming up with things for your kids to do, you’ll help them avoid inevitable boredness and keep your own sanity. Check out our blog for more tips on keeping your kids occupied.